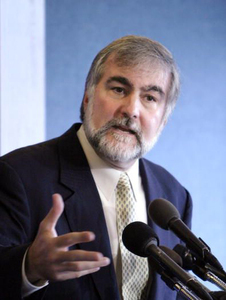 William Schulz, former executive director of Amnesty International and Unitarian Universalist minister, is dedicated to establishing international guidelines for human rights. Traveling world wide to conflict-stricken areas – including Romania, India, Darfur, Liberia, Northern Ireland, and Cuba – Schulz has actively worked for women’s rights, racial justice, gay and lesbian rights, and the abolition of the death penalty. Schulz has appeared on many radio stations and TV shows and has written many books, including In Our Own Best Interests: How Defending Human Rights Benefits Us All and Tainted Legacy: 9/11 and the Ruin of Human Rights.